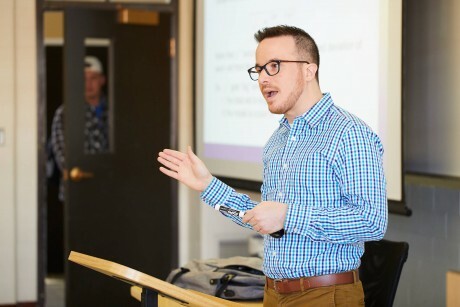 Paul Flynn ’19 is among the growing number of students who see Stonehill’s data analytics minor as providing a valuable edge in the tech-sector job market. The resident of Milford, Connecticut, is a management major with a concentration in management information systems (MIS) and data analytics minor, and he said his major and minor will help him stand out when it’s time to launch his career. 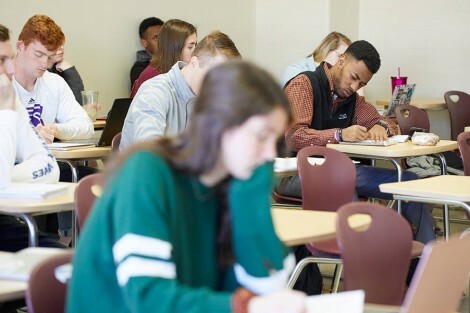 The increasingly popular program has provided the foundation for other related initiatives aimed at equipping students with the skills and knowledge they need to thrive in data-driven fields. The College has launched a data science major, and a master’s degree in data analytics is in development. 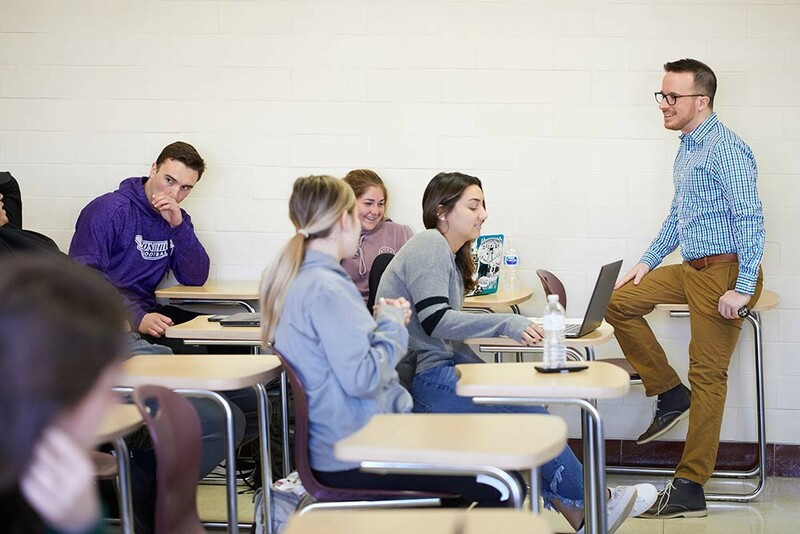 Professor Michael Salé and a group of colleagues in Stonehill’s Business Administration Department developed the data analytics minor after recognizing the competitive advantage it would give to students such as Flynn, allowing them to step into advanced workplace roles quicker. 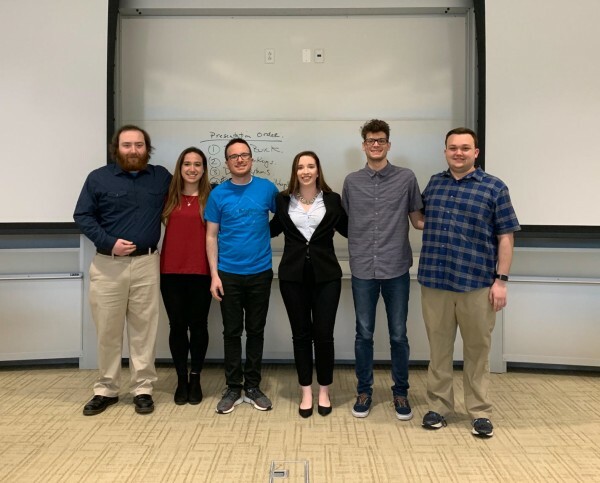 Five Stonehill data analytics minors recently attendeBest Data Visualization for our region. More than 80d the American Statistical Association DataFest competition at Bryant University, taking 2nd overall in schools and 4,000 student participated in the event, which lasted over 30 hours over the course of a weekend and asked teams to extract insight from a rich and complex data set. The minor offers students the opportunity to gain complementary computer science, mathematics and analytics skills through a series of applied learning courses. The program is interdisciplinary and designed to complement various majors, from environmental science and biology to communication and finance. 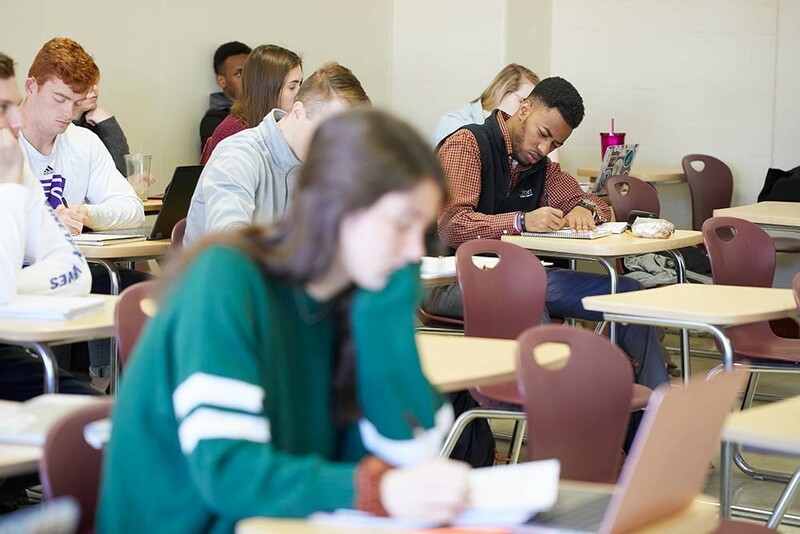 In their data analytics classes, students learn to apply statistics, machine learning, text retrieval and natural language processing to analyze data and interpret results. Salé said a primary goal of the minor is to help students use these acquired analytics skills to take a problem or opportunity and make decisions that will lead to positive outcomes. Economics major and data analytics minor Erica Cordatos ’19 kept this goal in mind when developing her senior capstone project. She was responsible for using data to examine how companies such as travel services giant Airbnb contribute to unemployment rates in the hotel industry. Cordatos recognizes that her research and her ability to interpret data could potentially affect others. 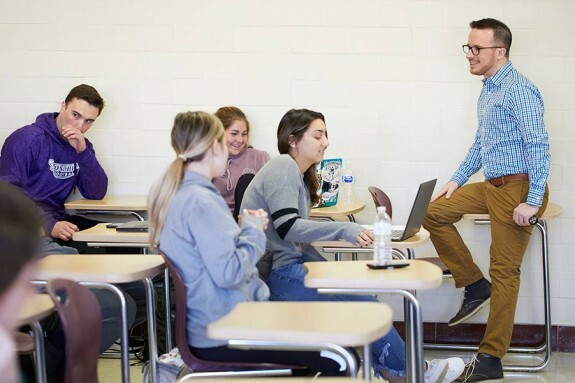 In his 11 years at Stonehill, Salé has never grown tired of seeing students fully recognize the power of data over their course of study. He said he is also pleased that Stonehill is creating opportunities for students to learn how to use data analytics to solve problems across various fields.